After eight months of consistent pressure from Don’t Drill The Hills, Inc (DDHI), and recent urgency expressed by other local and state legislators following the July installation of an oil rig next to a densely populated subdivision in Shelby Township, Rochester Hills City Council hastily passed a 6 month oil/gas drilling moratorium for the City. City Council has finally recognized citizens’ voices, which since January have made clear that oil and gas drilling is not welcome in our densely populated residential community. This is proof that a bi-partisan grassroots effort by voters, who are parents, property owners, and business owners, can make a difference in the community. – Rescind the lease of park and cemetery land that the City voluntarily signed with Jordan Development, but without prior vote of the residents. Rescinding the lease sends the message that City Council really wants to change their position on gas and oil drilling. 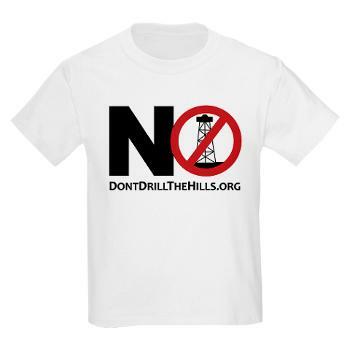 – Develop and pass meaningful local ordinances that will be more effective in restricting oil/gas drilling and production operations in high-density residential and school areas. While DDHI celebrates the moratorium as a victory towards protecting our residential areas, we realize the effects of such are temporary and enforcement difficult. Substantive work toward enacting local ordinances as well as legislative and regulatory change at the State level is still urgently necessary. DDHI is pleased that residential drilling issues are getting attention in Lansing. We hope that the Legislature works with us and other grassroots organizations to create meaningful protections, beyond Senate Bill 1026, for all who could be subject to the negative effects of drilling near their homes and schools. However, some fear the sudden flurry of such measures is compelled by election season; and efforts may be fleeting post-election. DDHI and other groups against drilling in high-density residential and school zones are steadfast in their commitment to see these efforts through. We look forward to working productively in this process. Flip Flop – perfect! No conviction, just checking the weathervane of political expedience.